NASHVILLE, Tenn. - Free Agent Ben Zobrist has signed a 4 year, $56 M contract with the Chicago Cubs. The deal will re-unite him with manager Joe Madden. 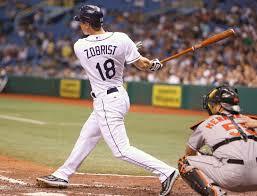 Super utility player Zobrist "Excited to be in the National league".. says "Heart wanted to be in Chicago"